Gunner was born as a singlton puppy. 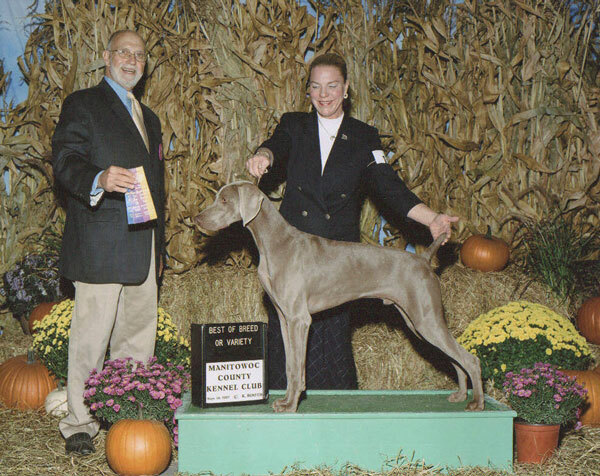 Handled by Julia, he became a Champion quickly, earning Five RWD (Reserve Winners Dog) ribbons to 5 point Majors along the way. Soon after finishing his Bench Championship, Gunner earned his Junior Hunter title with 9's & perfect 10's always handled by his owner Jeff. 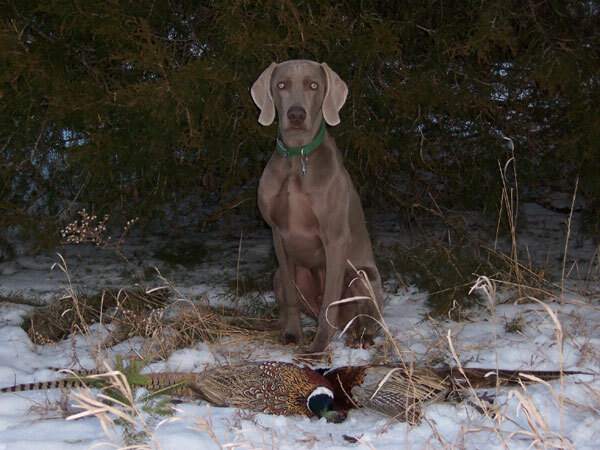 His style & intensity on point amazes people who didn't think Weimaraners were "Bird Dog's", He continues to prove them Wrong!! Jeff's amazing relationship with Gunnar made them hit the show ring together to pursue his Specials career. As an Novice Owner/Handler, Jeff made Gunnar Graysong's first Grand Champion! 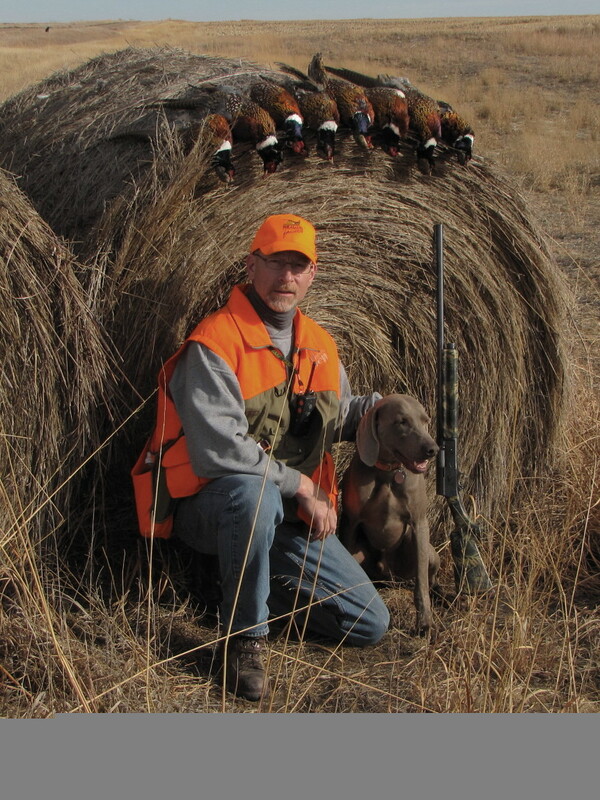 Gunner is Jeff's pride & joy and regular hunting companion. 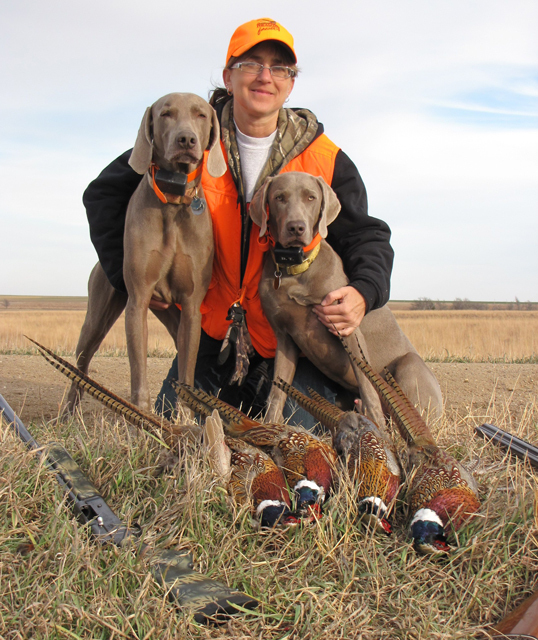 Gunner has earned 2 legs of his SH (Senior Hunt) title. 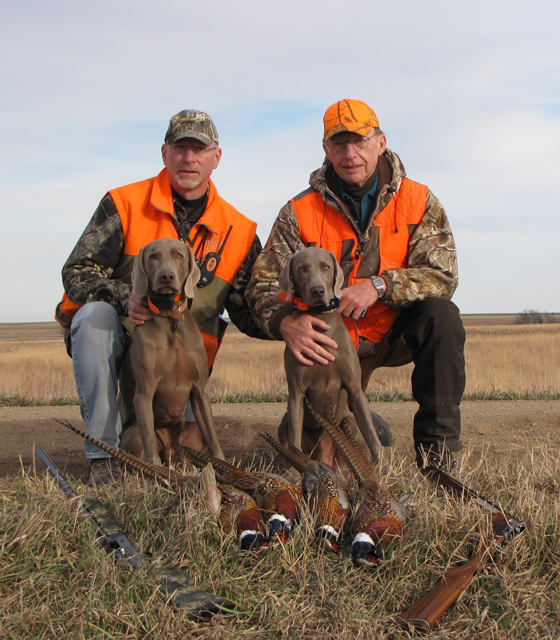 Jeff with his Father, Gunner & new pup Dutch "Graysong's Lo Ryder"